SIRI- Sirius XM Holdings Inc. provides satellite radio services in the United States and Canada. The company creates and broadcasts commercial-free music; sports talk and live events; comedy; news; exclusive talk and entertainment; and the comprehensive Latin music, sports, and talk programming in radio. It also provides traffic, weather, data, and information services for subscribers in cars, trucks, RVs, boats, and aircraft through SiriusXM Traffic, SiriusXM Travel Link, NavTraffic, NavWeather, SiriusXM Aviation, SiriusXM Marine, Sirius Marine Weather, XMWX Aviation, and XMWX Marine. In addition, the company offers SiriusXM programming through the SiriusXM Internet Radio App for smartphones and other connected devices, as well as online at siriusxm.com. It provides telematics and connected vehicles services, such as safety, security, and convenience services to various automotive manufacturers. The companys satellite radios are primarily distributed through automakers and retailers, as well as through its Website. As of November 19, 2013, it had approximately 25.6 million subscribers. The company was formerly known as Sirius XM Radio Inc. and changed its name to Sirius XM Holdings Inc. in November 2013. 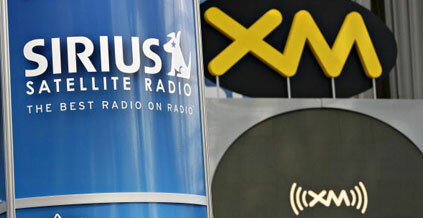 Sirius XM Holdings Inc. was founded in 1990 and is headquartered in New York, New York. we are anti-spam and we will never sell your info your can Unsubscribe at any time!